Birmingham vs Rotherham predictions and betting tips for Saturday afternoon’s Championship clash. Both teams secured draws in midweek and will be hoping to build on their performances with another good result here. Read on for all our predictions and betting tips. Birmingham secured another decent result in midweek, drawing 1-1 away at promotion hopefuls Brentford to extend their unbeaten run to seven matches. On top of playing one of the most attacking teams in the division, the result was even more impressive considering Birmingham played the majority of the second half with ten men after midfielder Maikel Kieftenbeld was dismissed. The incident also saw Garry Monk sent to the stands but Birmingham held on after going ahead thanks to Michael Morrison’s first-half header. It was the latest point gained in what has been a productive run for Monk’s side. They are the draw specialists, with eight out of 11 games seeing Birmingham sharing the points. In some games, like the Brentford match and away at Sheffield United, they were certainly points gained. In addition, the weekend match at home to Ipswich saw Birmingham come back from two goals down to draw 2-2, whilst in games against QPR they were lucky to get anything. However, in others it has been down to a lack of composure that has seen Birmingham drop valuable points and see them still in the bottom half. They dominated matches with Swansea, West Brom, Norwich, and Nottingham Forest but in each game they came away with a point. Birmingham simply couldn’t finish their chances with Swansea and West Brom, whist conceded late equalisers in the other games to make it a mixed run. Despite this, in the most recent matches, they seem to have turned a corner and are now becoming more potent in attack. This could be down to that spectacular away victory at Leeds, the table-toppers who had been unbeaten. 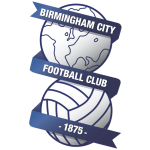 It was Birmingham’s most complete performance and should give them great heart in their battle to finish just above the relegation zone. Striker Che Adams got two in that match, whilst fellow front-man Lukas Jutkiewicz also scored a brace in the match at Ispwich. With those two in form, it might be time for Birmingham to rise up the table. On the other hand, Rotherham added to their points tally with a goalless home draw against Bristol City. Whilst the home side were on top in the first half, Bristol hit the woodwork twice in the second, so a point will feel like one gained for Paul Warne’s side, who should be relatively happy with 11 points after 11 games. They looked strong in this match and had 21 efforts on goal against a quality side for this division. Indeed, this was the second consecutive home draw for Rotherham, who were also held to a 2-2 draw against Stoke at the weekend. Once more, it can be seen as a point gained, with Stoke dominating the match, although they will be a little disappointed after Bojan equalised in the 85th minute. 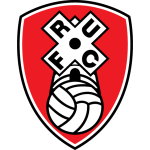 Despite this, it was another sign that Rotherham belong in this division as, apart from their 5-1 opening day defeat to Brentford, the team have competed well in every match. Their direct style of play, with a focus on getting the ball into the box through crosses has caused problems for sides this campaign. Driven by a strong midfield engine of Richie Towell, Ryan Manning, and Will Faulks, they have beaten Derby, Millwall, and Ipswich on home turf to move away from the relegation zone. Moreover, in other matches, they have been unlucky to come away with nothing. It took an 86th minute Lewis Grabban penalty to be defeated against Nottingham Forest, whilst they haven’t yet lost by more than two goals since opening day. If they can maintain their home ground as a fortress, they have a great chance of staying up. That being said, their away from is appalling and has seen them lose every match on the road, which could really hinder their prospects. Indeed, we think that run will continue against a confident Birmingham side who will fancy their chances in this match. This could finally be the match where Birmingham combine defensive strength with attacking prowess and produce a good performance. We think they will Win to Nil in this match against a Rotherham side who drew a blank in midweek and have not looked good on the road. For a correct score-line, we think 2-0 is appropriate in what will be a tight match but one that Birmingham will ultimately come through to rise up the table. This is the first time since 2005-06 back in the Premier League that Birmingham have won just one of their opening 11 games to a league season. Rotherham have lost each of their last six away league games, failing to score in the last four. Birmingham boss Garry Monk has won all three of his managerial meetings with Rotherham in all competitions, winning a League Cup tie with Swansea in 2014-15 and both Championship matches with Leeds in 2016-17. 25% of Rotherham’s Championship goals this season have come from the penalty spot (2/8), the highest ratio in the division.